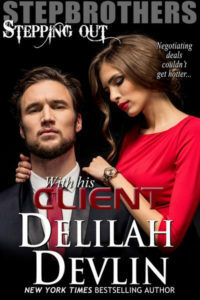 Thank you, Delilah, for allowing me to stop in and visit with you and your readers again. The last time I was here, my post was about the Canadian long weekend in May, our Victoria Day holiday, which is when my current release Worth the Risk takes place. Due to the timing of this visit, I thought I’d talk about another holiday—this weekend is our Thanksgiving. So, yes, I’m spending the weekend cooking. 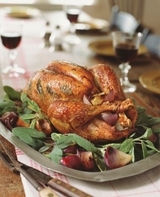 Hmm, not unlike most weekends, but this one’s special – it’s turkey time! Just like in the U.S., Canadians give thanks for a good harvest and any other good fortunes over the past year, and we take time to stuff ourselves with turkey, mashed potatoes, cranberries and pumpkin pie, well, I actually prefer apple. 😆 However, our Thanksgiving holiday is celebrated earlier, on the second Monday of October. Traditionally, this is a national public holiday for most of us, and although we do tend to get together with family on the Thanksgiving weekend, the holiday itself is not as big a celebration in Canada as it is in the U.S. While the actual Thanksgiving holiday is on a Monday, many will actually celebrate it on the Sunday. Last time I was here, I talked about how we generally used the May long weekend as our springboard into summer—we open everything up—our pools, our camps and summer cottages. Well, we use this one to close them all up. Summer is officially over, all done. It’s time to pack it up, sweep it away, and pull out the winter wear. Yuck. Coats and boots we’ve been hiding in the basement. *shiver* We look longingly at our shorts, swimsuits and sandals. If we’re lucky though, it’s a beautiful warm fall day, the leaves have already turned to bright reds, oranges and yellows, and they’re gently falling from the trees. Just in time for the kids and hubby to rake them up! Pumpkins, squash and Indian corn are in abundance and adorn dining room tables, front entrances, and create beautiful crisp masterpieces that (hopefully) last through Halloween. Quebec Francophones don’t consider it an important holiday – it’s simply a day off! Now, remember when I said we took the time to express our thanks? Every day, I’m thankful for my family and friends, both close and extended, my health, and my job. But this year, I saw my dream of becoming published come to fruition. And before the end of the year, I should see my second book hit the e-market. For that, I’m especially thankful too everyone involved in making that happen. In my upcoming release, Friends with Benefits, Tyler is most thankful for the woman he shares his life with. 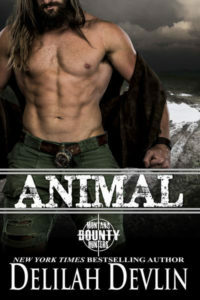 When he finds out that his best friend is moving to town, Tyler decides this may be the opportune time to surprise his wife, the woman he loves more than life itself, by fulfilling some of her fantasies, and Connor is the one man he trusts to help him do just that. to put it all to the ultimate test? or character images. Author as appropriate rights for the use of all images. I want to wish all my American friends a happy Columbus Day and all my Canadian family and friends a happy Thanksgiving! Tell me…what are you thankful for? This entry was posted on Friday, October 11th, 2013 at 8:41 am in General. Tagged: Guest Blogger. You can feed this entry. Both comments and pings are currently closed. Thanks for stopping in Shey! Nice to see you again Anne. Your book cover is awesome. Enjoy the turkey and the long autumn weekend! I’m thankful for so many things. Air conditioning for the Summer days ahead for one. We have the Boxing Day sales here in Australia too. Great post. I didn’t know about the Canadian Thanksgiving. Thanks, Anne! Congratulations on your accomplishments this year, that must be so exciting! Thanks for sharing all of the fun facts about traditions in Canada and Happy Thanksgiving (your post made me hungry for all of those traditional dishes, lol).